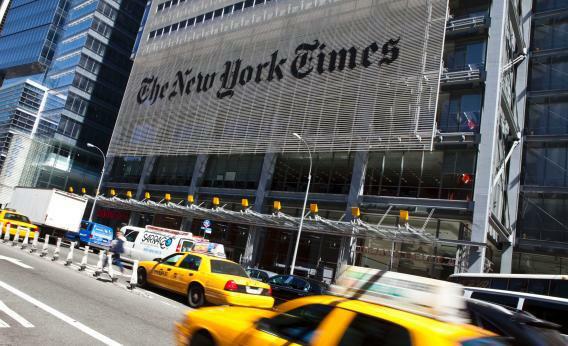 NY Times kills its environmental blog, "Green," to "devote resources elsewhere." Tough times in the news business have forced the New York Times to strip down its roster of news blogs to more than 50, including nine on sports, six on styles, travel, and leisure, and none on the environment. Essential or not, the “Green” blog is now dead as well. The paper’s editors announced the decision in a single-paragraph post that went live at 5 p.m. on Friday, the ideal time to publish a piece of news that you don’t want to have to answer for. Columbia Journalism Review’s Curtis Brainard called the Times for comment shortly after 5 p.m. and was told that executive editor Jill Abramson, managing editor Dean Baquet, and corporate spokeswoman Eileen Murphy had all gone home for the day. The paper’s environmental editors didn’t answer their phones either. Brainard obtained an email from Nancy Kenney, the deputy editor responsible for the blog, which indicated that the announcement came as a surprise to the staff as well. “Masthead editors at The Times informed me around noon today that they plan to discontinue the Green blog and devote resources elsewhere,” she wrote. Five blogs on culture and media, including “The Carbetbagger,” about awards shows; “After Deadline: Notes from the newsroom on grammar, usage and style;” and “Media Decoder,” a media-industry blog that so far has not seen fit to cover the Times’ own elimination of its “Green” blog. Nine sports blogs, including “On Par,” a golf blog, “Straight Sets,” a tennis blog, and “The Rail,” on horse racing. There are no news blogs left on the roster that even touch on the environment, though Andrew Revkin’s delightfully peripatetic personal blog, “Dot Earth,” lives on in the opinion section—at least until Jill Abramson and co. decide that environmental opinions, like environmental news, would best be distributed across opinion columns devoted primarily to other, more salable topics.